Fanta, Red Bull, Lucozade…these are just a few of the fizzy drinks which will be affected by the UK-wide tax on fizzy drinks, which officially comes into force today. As dental professionals here at AP Smilecare, we think this is fantasic news, but as you can imagine, not everyone else is quite so thrilled. Teenagers are particularly at risk from consumption of fizzy drinks. According to experts, the average teenager drinks around a bathtub full of fizzy drinks each year, and it’s exactly that kind of consumption that the new sugar tax aims to curb. What Is The New Sugar Tax On Fizzy Drinks? Pure fruit juices will be exempt as they generally don’t have any added sugar, while drinks with a high milk content will also be the exception because of their high calcium content (calcium is great for your oral health, as it actively strengthens your teeth). The Treasury estimates this will bring in about £240 million a year, which it plans to direct toward school sports and breakfast clubs. Although there’s still differing opinions on the effectiveness of the tax itself on improving health, lots of experts are arguing it’s already done some good, as 50% of all drinks have had their sugar content reduced ahead of the tax coming into effect. Fanta, Ribena and Lucozade have all cut their sugar content – Fanta has done so by nearly a third, and Ribena by twice that. All that is quite encouraging so far! The main aim for the government in introducing it was to protect us from health conditions like diabetes, but naturally oral health is another key concern. 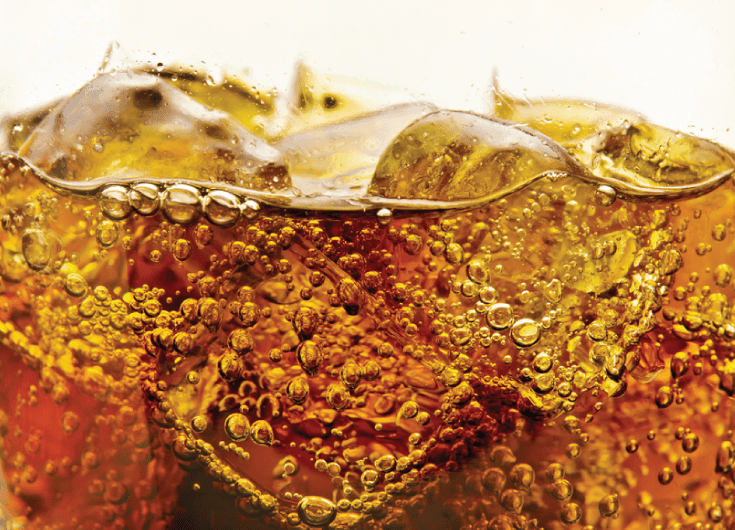 Why Are Soft Drinks So Damaging For Your Teeth? Well, obviously sugar is a major factor. Almost everyone knows that sugar is bad for your teeth, but fewer people are aware of exactly why. To break it down to the very basics, your mouth contains all sorts of bacteria. Some of it’s good, some of it’s bad, and it’s the latter that does the harm to your teeth. The bad bacteria is constantly kept in check by your body’s natural defences (which includes your saliva, for example). However, it uses sugar for fuel, so when you consume too much of it, the bad bacteria feeds on it to produce acids that gradually eat away at your tooth enamel, otherwise known as the protective outer layer on each of your teeth. Left unchecked, this can cause serious and even irreparable damage. A single can of soft drink contains up to 10 teaspoons of sugar, so you can imagine what sort of effects that has over time! It doesn’t help that the fizzy drinks themselves are incredibly acidic, too. 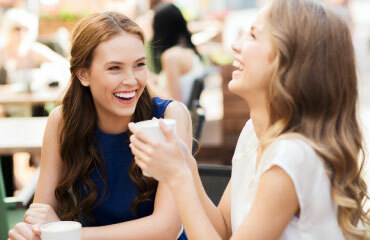 (We’ve recently talked about the effects acid can have on your teeth.) Specifically, fizzy drinks contain lots of phosphoric acid, which are added to them to give them freshness and tartness. Combined with the high levels of sugar, these can wreak havoc on your dental health. There’s a long laundry list of other health effects of fizzy drinks, but when it comes to your teeth, these are the main two to be concerned about. Thankfully, our experts here at AP Smilecare are here to help. We’ve got a range of core dental services to choose from, so whether you’re looking to get a smile makeover or you’re wondering about the options for replacing missing teeth, you can book a consultation with our dental professionals to find out how we can help keep your teeth in top condition and your smile looking amazing. Give our dental clinic in Blackburn a call on 01254 297 000, or pop by and see us to book an appointment!